Unlike other trading software you do not have all day waiting for a signal to be generated. Everything is done – + Blue line BUY, Red line SELL will be printed on your screen! Blue line – BUY, Red line – SELL… these forex signals will be printed on your chart! You can automatically receive an Email (free signals) when a signal is generated. That’s right, get signal alerts straight to your phone or work Email . It also works on ANY currency pair so you can always have signals coming your way no matter what markets are open! 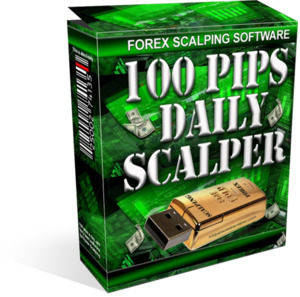 The “100 Pips Daily Scalper” does NOT repaint! Do you also have the 100 pips today scalper that has a single red and yellow moving line? any $ back guarantee offered if it does not perform as stated? what is win ratio on 1 minute charts for taking signals with either a 1 min; 2 min; or 5 minute expiration for binaries.